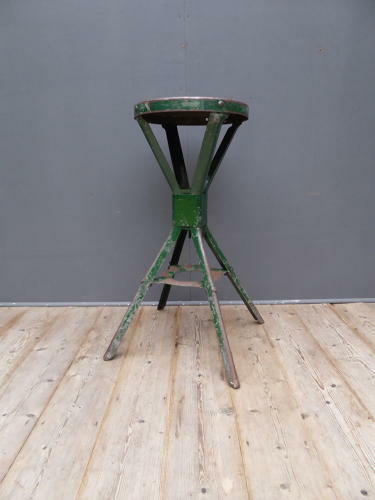 An original vintage factory stool by Evertaut. A fantastic, all steel industrial stool in layered paint with just the right amount of age related wear. A wonderful, honest example with a great look about it. Wear commensurate with age, good unrestored condition. Seat 30cm across.